We are the no. 1 Italian news agency, one of the top ranking in the world. Since 1945 we have been collecting, publishing and distributing news and in-depth analysis in a variety of methods and on all transmission platforms. We are present wherever facts occur, the moment they happen, thanks to our widespread presence all over the country and abroad. have always been our values which have confirmed us as leader in our customers' preferences as well as on the international news scene. Giulio Anselmi is the President of ANSA since April 2009. He was born in Valbrevenna, 1945. He graduated in law at the University of Genoa, and as a student he began working for Corriere Mercantile. After graduation and a brief legal traineeship, he began working for Corriere Mercantile and then in1969, for Stampa Sera followed byLa Stampa, and Panorama - as a special envoy – and Secolo XIX. From 1984 he was director of the weekly publication Il Mondo. 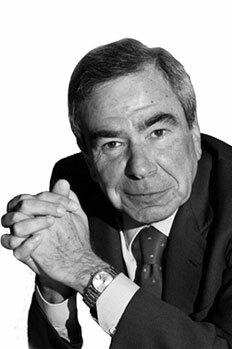 In 1987 he moved to Corriere della Sera, where he remained until 1993 as vice,director and then co-director; later he took up the reins as leader at Il Messaggero, until 1996. After a brief period as leader writer at Corriere della Sera, in 1997 he became Editor-in-Chief of ANSA; from 1999 to 2002 he was director of L'Espresso, after which he became leader writer at the Group's Daily, la Repubblica and vice-president of Finegil. He was consultant for the Rai 3 television programme Ballarò and from 2005 he directed La Stampa, after which he returned to ANSA, in April 2009, in his capacity as President. Since 2011 he is President of FIEG (Italian Federation of Publishers and Newspapers), as well as Audipress (an agency for the collection and analysis of data and Italian press circulation), since 2012. He taught Theory and techniques of journalistic language at the LUISS University Guido Carli. Stefano De Alessandri became the Chief Executive Officer and General Manager of ANSA on September 6, 2018. Born in Milan in 1959, he has a degree in economics from Milan's Bocconi University and a wealth of experience in the general management of media-publishing companies and in management consulting. After starting his career at Publitalia, he joined the RCS Media Group in 1989 as Marketing Director and he later became Deputy General Manager of Magazines. Subsequently he moved to Condé Nast as Deputy General Manager, in 2003 he took on the role of Managing Director and General Manager of Gruner + Jahr / Mondadori and then, in 2005, he moved to Hachette Rusconi, taking up the same position there. Giving particular focus to the enhancement of media brands and the integrated development of digital technology, in 2010 he moved to Mondadori's magazines area and then he held the role of Chief Executive Officer for Radio and International Activities of the group. 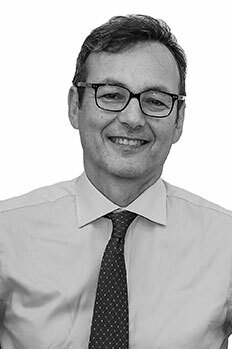 Between 2013 and 2018 he was a partner and MED Region board member at EY (Ernst & Young) and he held senior positions at media sector associations for 10 years as Vice President of FIEG, Audipress, ADS and FIPP. Luigi Contu Director of the Agency ANSA since June 2009. He was born in Rome in 1962 and is of Sardinian origin. His career began in the 80s at the economic newspaper Ore 12, after which he collaborated with the ANSA economic newsroom for two years and was hired in 1987. After three years he moved to the political-parliamentary newsroom where he continued to focus on economy and finance, following the work of parliamentary commissions and the government up close on the public finances front. In 1997 he took up the reins of the political newsroom and was then nominated the Agency's vice-director, with the task of coordinating political information and relations with the institutional world. During those years he was first elected secretary and then vice-president of the Parliamentary Press Association. In 2004 he was summoned to lead the internal affairs newsroom of La Repubblica, until 2009.